I wish I had a pound for every time someone said to me “I’d love to have curly hair like yours” or “you should leave your hair natural” – maybe then I would be able to get the lush, all white errythang flat in London I lust after so much (sore subject). My natural hair is what I would describe as Tracy Beaker at the Dumping Ground or, if outside in fog or drizzle, a challenge to Tina Turner. I hate the effort I have to put into making myself look half respectable because let’s face it, if your hair is a mess you tend to look a mess in general. The washing to dry hair process takes around an hour, maybe more – not what you want to be doing after a long day at work. 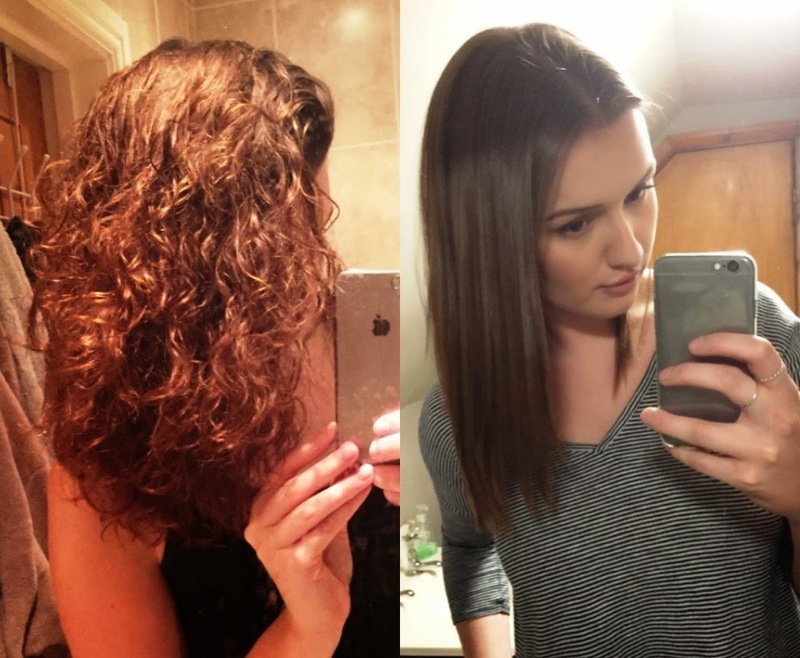 I have known about keratin treatments for a long time but they were always beyond my student budget and I also had concerns about possible damage to my hair. I have really looked after my hair in the past couple of years after a shameful visit to the hairdressers, during which the condition of my hair was described as ‘terrible’. Since then, I’ve religiously used heat protector and sulphate-free shampoo and conditioner – it look a long time to get my hair healthy. The process itself took three and a half hours, the perfect chilled way to spend a Saturday afternoon after being poorly in the week. I had the KeraStraight treatment but there are multiple varieties of the same treatment. It started with shampooing twice with a pre-treatment cleanser and then leaving the second shampoo on, covering with a cap for five minutes (I werked it). After rinsing, a pre-treatment spray was applied in small sections to my towel-dried hair. Then, a cream-like formula was applied to 2-3cm sections of my hair which look a long time due to sheer amount of hair I have. Once my whole head was covered, it was covered with a cap again and left for 45 minutes. After that, it was lightly rinsed off for 30 seconds and the moisture squeezed out. Then another shampoo-like formula called the Moisture Lock was applied, combed through, left for two minutes and briefly rinsed again. Then my hair was completely blow dried, separated again into 2-3cm sections and was straightened all over, straightening each tiny section 10 times. It took ages. Afterwards though… Ohhhh the shine! My hair had never felt so soft and shiny. The next evening I washed my hair and after blow drying, it was much tamer than usual… Although I have to admit, my hair wet kinda smells… Eggy. FIT. After straightening (which takes half the time than usual, maybe even less), it was back to the same finish that it was in the hairdressers and stayed straight overnight and all day the next day. In terms of maintenance, you can’t use shampoo and conditioners with sulphates in because it strips the treatment from your hair. The treatment is said to last 2-3 months, so I shall keep you posted. 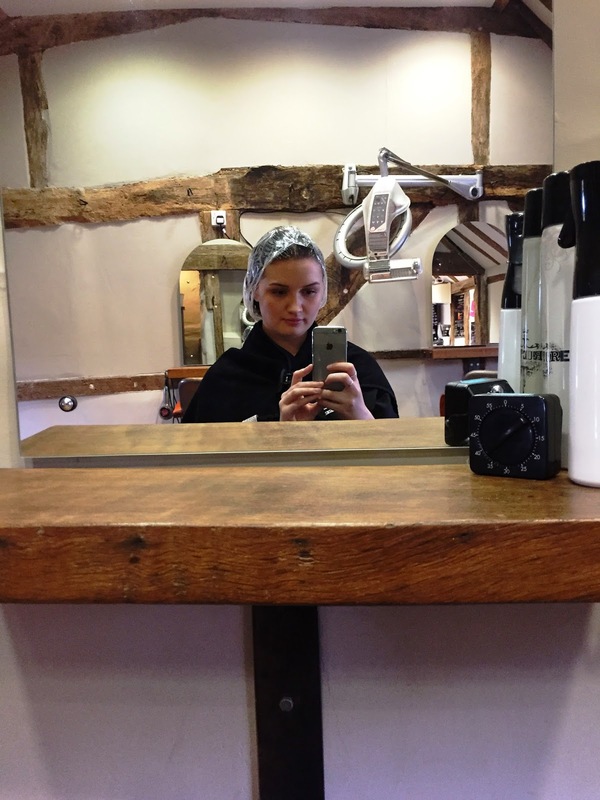 Apologies for the very long winded wordy post, but I thought it would be best to include all the details because it’s an expensive treatment – around £150 in most salons. If you have any more questions, feels free to comment or contact me as always!